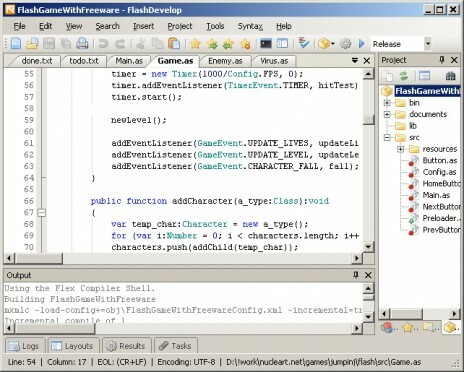 Flash Game Development with Free Software Presentation for FlashGAMM! #2 meeting. The JumpinJ Oldschool flash game was created as a technical demo for the presentation. I've cleaned up and uploaded sources: JumpinJ Oldschool Project and Sources. All You need to is just getting started with FlashDevelop and Actionscript 3.